Cherry trees are in bloom and brilliant green leaves are emerging at the Yakima Arboretum. 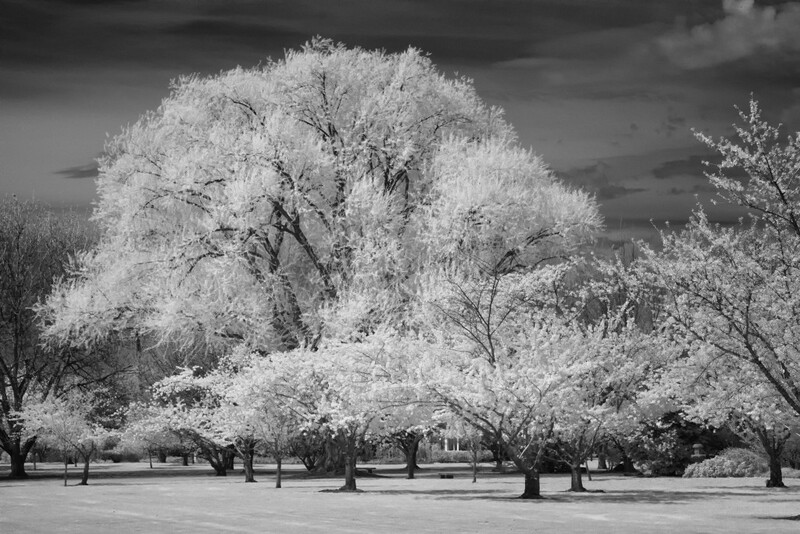 It is a great time to get out my old IR converted Canon Rebel XT and try out some IR imagery. It was a beautiful spring day and I had a little time in the middle of the day to get out and explore. I chose to work in B&W using Infrared. The Arboretum was showing its early spring pink and white blooms of the cherries and pears as well as a few trees with emerging brilliant light green leaves. Tomorrow I will go again with my normal camera. This entry was posted in B&W Photography, Flora, Infrared, The Grand Landscape and tagged Flora, Infrared, Landscape, Spring, Yakima Arboretum on April 7, 2016 by kgrafphoto.